If you’re one of the fortunate home buyers in Titusville, Melbourne, or Palm Bay that have VA loan eligibility, congratulations, you have access to the absolute best mortgage options available today. 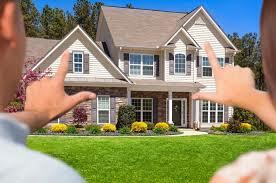 The VA home loan has multiple advantages that other home loans simply do not have. What makes the VA mortgage such an attractive option? There is no down payment needed for starters. There is only one other mortgage program in the market not requiring a down payment, the USDA rural loan, but there are limitations as to where the property may be located and the loan is intended for those who make no more than 115 percent of the median income for the area. With the Florida VA loan, there are no such restrictions. VA loans come with a government-backed loan guarantee. This means should the loan ever go into default, the lender is compensated at 25 percent of the loss. This guarantee is financed with the use of the funding fee on every VA loan. This amount can change based upon the status of the borrower and the loan but for first-time buyers, the funding fee is 2.15 percent of the loan amount. For a $300,000 loan, that’s $6,450 yet that’s not cash out of pocket. The funding fee can be and most always is rolled into the loan amount. And unlike other government-backed programs, there is no monthly mortgage insurance payment. This feature keeps the monthly payment down and increases the veterans’ buying power. Interest rates for VA loans are very competitive and can be anywhere from 0.25 to 0.50 lower compared to a conventional loan with 5% down payment. And speaking of interest rates, approved VA lenders compete with one another for your loan. It used to be that the VA home loan department set interest rates for all VA loans but today that’s not the case. Now, approved VA lenders must be very competitive to earn your business. Sellers are no longer reluctant to accept an offer with VA financing. Long ago, not only did the VA set interest rates for its loan programs but also ordered the appraisal and approved the loan. This meant it could take weeks just to get to an approval stage due to the federal bureaucracy involved. That is no longer the case today. VA lenders have the authority to not only order the appraisal but process and approve the VA loan application from start to finish. Another unique advantage VA loans have is restricting the types of closing costs the veteran is allowed to pay, also reducing the amount of cash required at closing. Eligible borrowers are only allowed to pay for an appraisal, credit report, origination fees, title insurance and recording fees. Other charges such as loan processing fees, WDO or underwriting fees are considered “non-allowable” and the veteran is prohibited from paying them. As well, the seller can contribute up to 4.0 percent of the sales price to be applied to the buyer’s final closing costs. We are happy to assist home buyers nationally including Fla. Home buyers in Melbourne, Palm Bay, Titusville and Cocoa are encouraged to reach out to us with questions by calling 800-871-2636 or just submit the Request Contact form at the top of this page for quick call. Buyers requiring a higher loan amount – please be sure to learn more about our 5% down payment Florida Jumbo loans.